Tired of paying for high priced checking account services? THCU checking accounts have no monthly service charge. A minimum average daily balance of $1,000, maintained for the month, allows the member to earn dividends. Our checking accounts feature unlimited free check writing. System overdraft protection transfers available savings balances to cover insufficient checks. 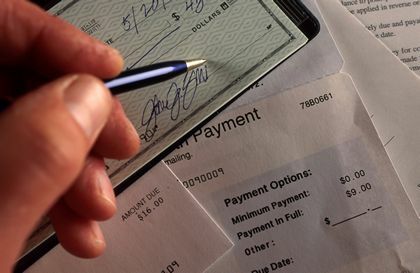 Monthly checking account statements and carbonless check copies make record keeping simple. THCU checking accounts are a real bargain when you add the convenience of ATM/Debit Card access and free online banking and bill payer. Give your investments a little liquidity with our Money Market Checking Account. Write up to three checks per month ($500 minimum) while receiving the same dividend rate as our regular money market account. Make an initial deposit of at least $5,000 and your first checks are free.